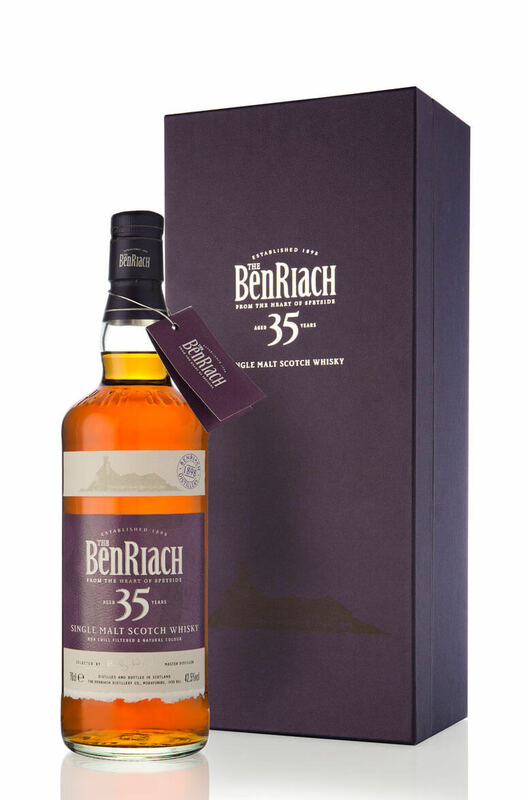 A rich and full bodied single malt from BenRiach. This has no smokiness, just lots of sweet fruit, chocolate and oak flavours. Nose Luscious tropical fruit salad syrup with a delicate ripped mint and chocolate back note; all warmed by a gentle toasted oak spice. Palate A classic Speyside style combining waves of papaya and dried apricots with freshly-sawn oak spices, touches of golden syrup and distant milk chocolate which gently flow through the elegant long finish.